Let’s start with the good. First, PEPFAR seems safe. The budget pledges to “provide sufficient resources to maintain current commitments and all current patient levels.” This is huge. PEPFAR is the largest global health program ever, and its funding provides antiretroviral drugs for four million people around the world. Cutting that funding would seriously imperil the health of all of those people who lost reliable access to the drugs they need to keep living. 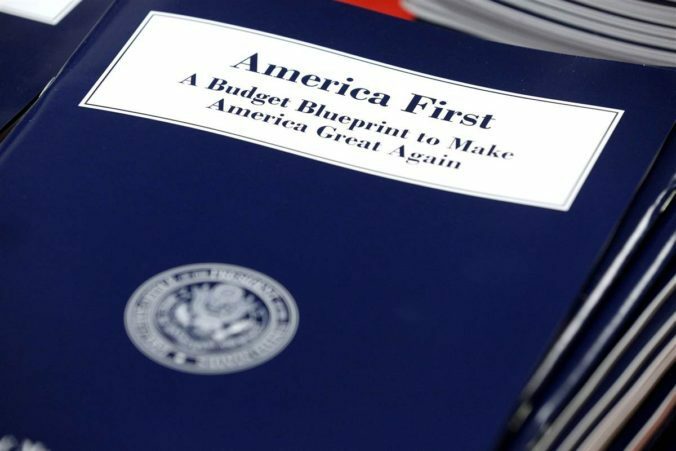 The wording in the budget blueprint does suggest that no new patients will be added—at a time when more than half the people who need ARVs still don’t have access to them—and it’s unclear whether the Trump Administration would support reauthorizing the program when its current mandate ends in 2018, but earlier news reports suggested that the administration viewed PEPFAR as an unnecessary entitlement program and might end it. Second, the budget blueprint calls for maintaining the US’ funding pledges to both Gavi and the Global Fund. The US pledged up to $4.3 billion to Global Fund during the most recent replenishment round this past August—one-third of the organization’s total contributions (in line with current US law). It also pledged $1 billion between 2015 and 2018 to Gavi’s efforts to expand vaccine access to children in poor countries. Both Gavi and the Global Fund are multilateral public-private partnerships, and the willingness of the US to maintain existing commitments is important for their continued existence. Third, the budget proposes creating a new emergency response fund to address disease outbreaks. This sounds similar to the World Health Organization’s new Contingency Fund for Emergencies, which was created in response to WHO’s slow response to Ebola. It is unclear how much money will go into the proposed emergency response fund, under what conditions the funding would be released, and where its funding would come from, but given the Congressional gridlock that slowed funding for a Zika response, it could be useful to have contingency funds set aside. What are the downsides for global health in the budget? Plenty. The budget makes drastic cuts to the underlying infrastructure that supports the US’ ability to engage and support global health responses. The good funding mentioned above deals with existing issues, but the cuts to medical and scientific research undermine the US’ ability to anticipate and prevent future outbreaks. Take something like the Fogarty International Center. Fogarty is an arm of the National Institutes of Health—and the only one solely dedicated to global health. It conducts crucial research, and it helps train public health and medical personnel from all around the world. Trump’s budget would eliminate its entire $69.1 million budget. The other cuts to NIH and CDC will reduce support for the basic research necessary for discovering new treatments and supporting the surveillance activities that allow us to find new outbreaks before they get out of control. These organizations also support research at institutes and universities around the world. NIH will lose about 20 percent of its budget, and CDC’s funding will be “reformed.” A study from 2016 found that NIH funding supported more than 313,000 full- and part-time positions, so cuts will seriously diminish the scientific prowess necessary to stop and prevent future outbreaks. NIH and CDC funding is also important because the basic scientific research they support is exactly the sort of information we need to develop treatments and responses to various outbreaks—and exactly the sort of research that private industry is less likely to support. This may mean that philanthropic actors that have shown a willingness to subsidize basic research like the Bill and Melinda Gates Foundation or the Chan Zuckerberg Initiative may become increasingly important in future years. Finally, there are big unknowns. What happens to the US’ support for the World Health Organization? Between its assessed and voluntary contributions, the US provides more than $400 million to WHO biannually—more than 10 percent of the organization’s budget. The Trump Administration’s budget, though, calls for reductions in payments to multilateral organizations and demands that the rest of the world “pay its fair share.” The actual effects on WHO are completely unknown, though. If the US provides WHO with less funding, this could further imperil WHO and its reform efforts. It’s also unclear how long-term any of these global health commitments are. The budget blueprint speaks of respecting existing commitments, but it gives no hint about the future. Will the administration support a reauthorization of PEPFAR? Will it continue to support Gavi and the Global Fund past its existing pledges? Is it open to supporting future initiatives? These are open questions—but vital questions for thinking about the future.